Dude. 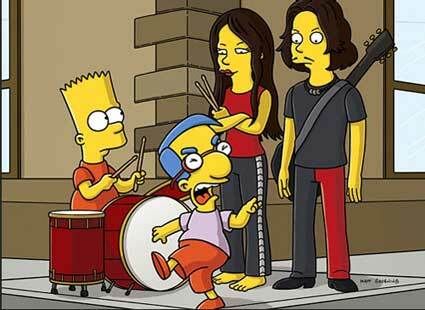 The White Stripes are gonna' be on The Simpsons. 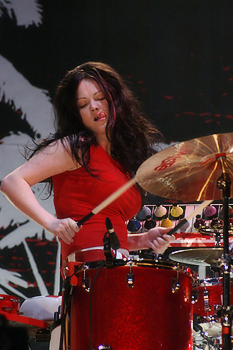 My standard comment on the White Stripes: Jack White is really talented...and must love Meg very much to let her play the drums. Who needs to be a good drummer when you look like this?